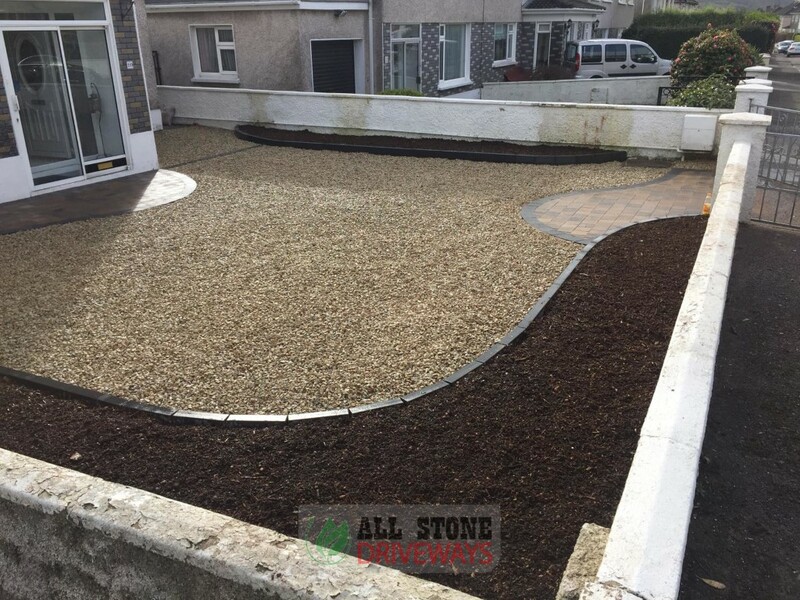 We Install Gravel Driveways At Unbeatable Prices in County Cork. No Job Too Large Or Small. 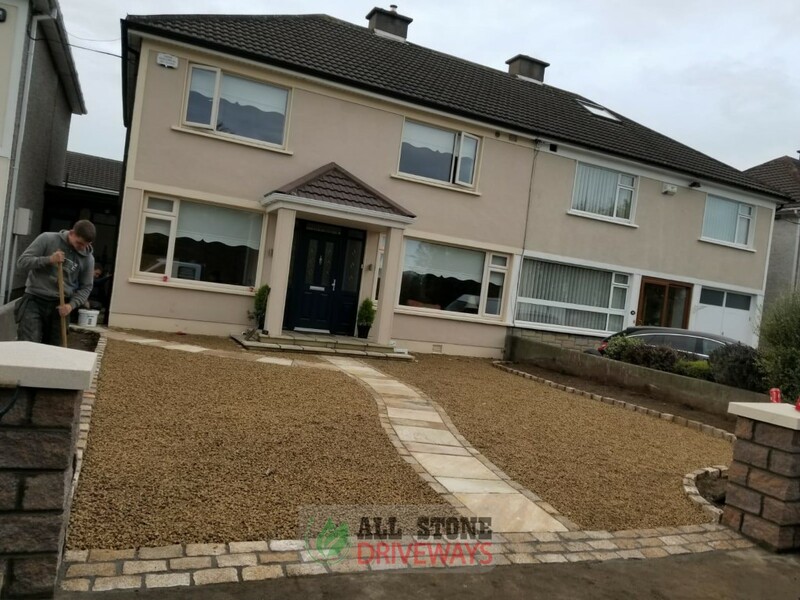 Get a gravel driveway in Cork installed today at an affordable price. 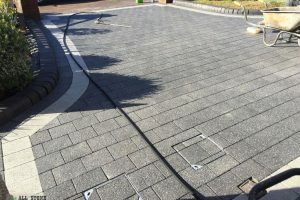 Great option for customers who are looking for a durable driveway but have very large driveways. 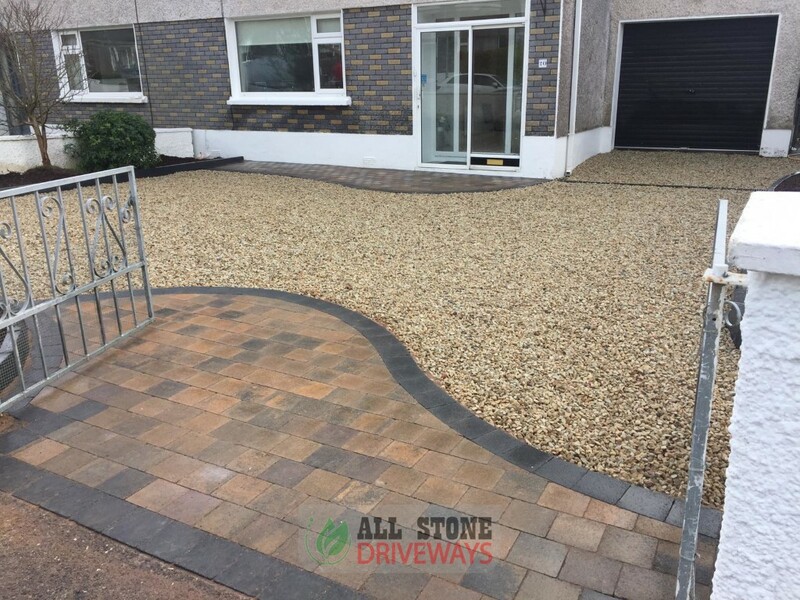 Gravel driveways can be installed with a paved or granite border to retain it, a paving apron at the front creates a welcoming entrance to your gravel driveway and it is 100% permeable. 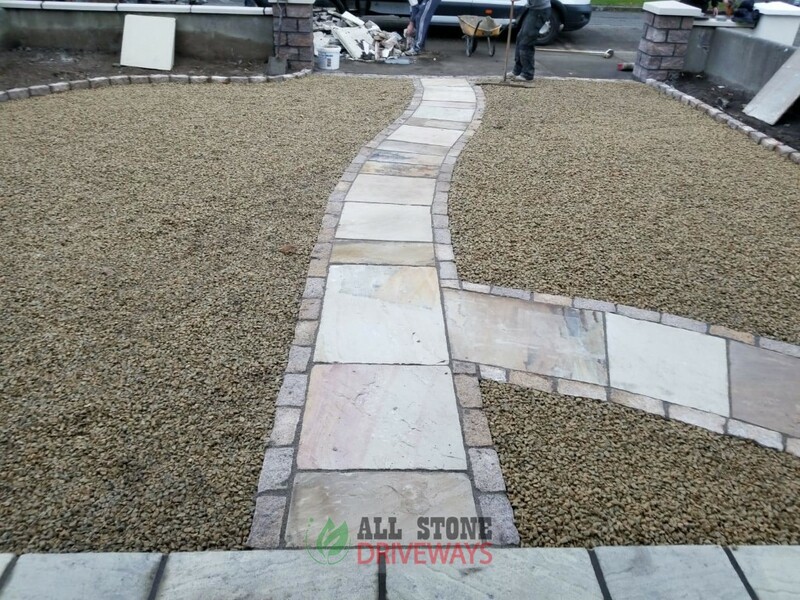 Maybe you are looking for a more rustic style driveway, one that blends in more with your home, with a gravel driveway, you can choose the type of stone to help it blend in more. 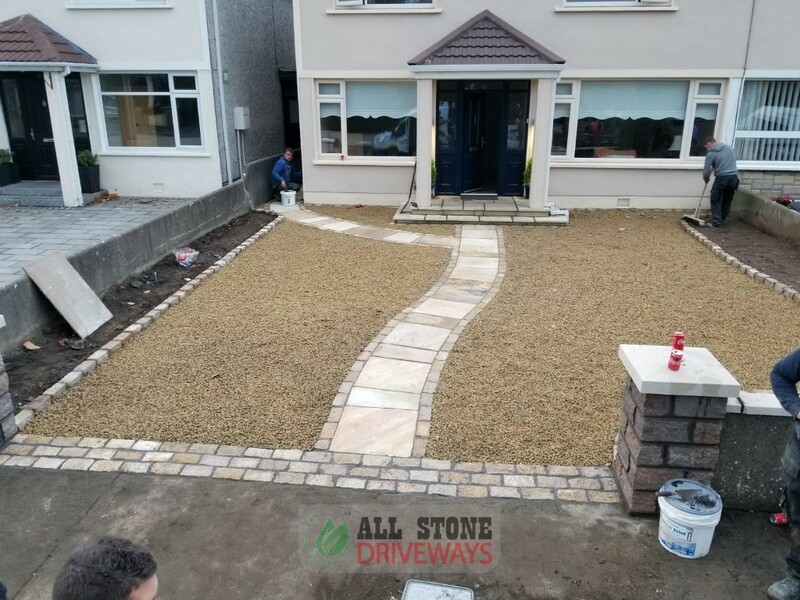 Experts at installing gravel driveways in Cork. 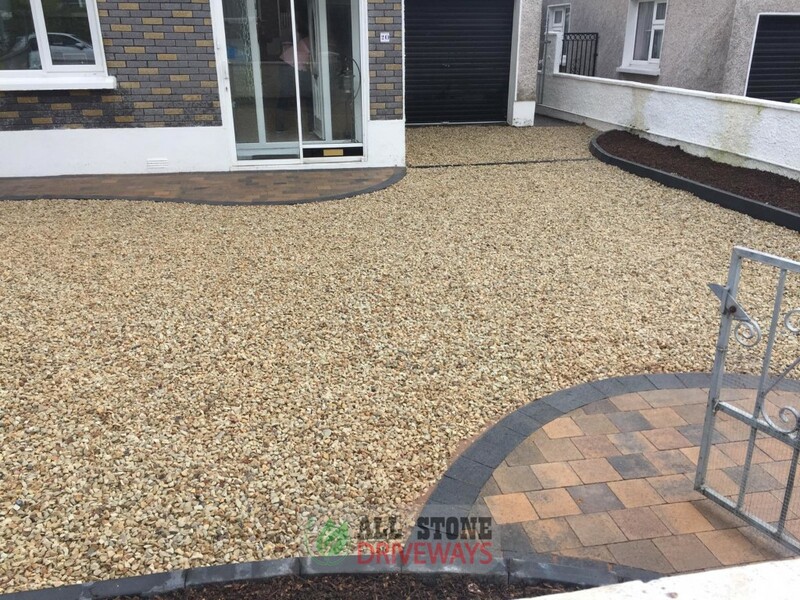 Call our team today to get a quote on permeable driveways in Cork, gravel installations in Cork or replacing your driveway in Cork. 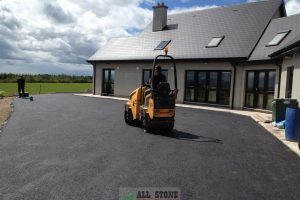 Every gravel driveway we install is done to a high standard. We always ensure to lay membrane sheeting on top of the base we install. The membrane sheeting will help to stop weeds growing through your new gravel driveway. 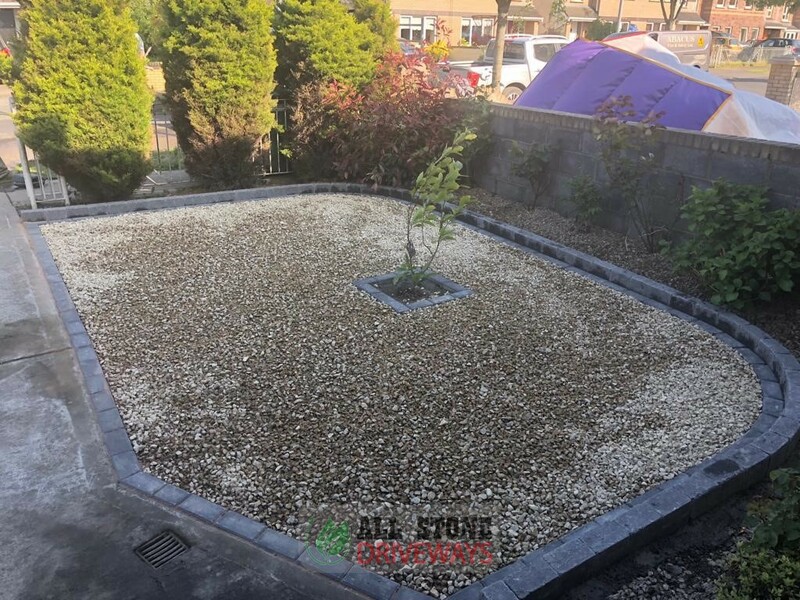 We source all our gravel from quality suppliers and can provide you with samples to help you choose a gravel colour. 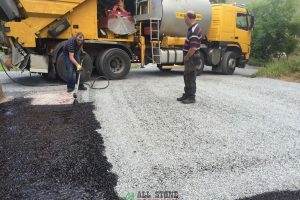 Gravel comes in various sizes to cater for larger vehicles or foot traffic. 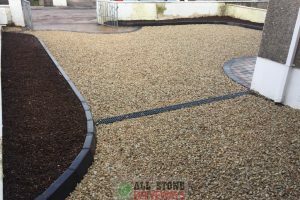 You can have a range of bordering styles with gravel to help the driveway stand out, options on steps and we can build gravel flowerbeds for low maintenance gardening.